Microsoft's digital assistant reveals tie-up with Google as smart home battle cools. 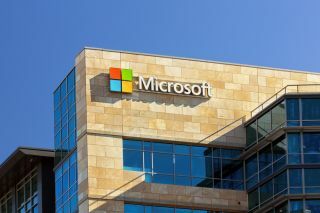 Microsoft and Google have agreed a rare partnership in the smart home space with the news that Cortana can now connect to Gmail. The move will allow Cortana to pull data from a user's Gmail, including details of their Google Calendar appointments. Windows 10 users that use a Gmail account will benefit from this integration, as it will allow their assistant to access calendar appointments and trigger notifications when necessary. According to Windows Central, the new feature also means users will be able to take advantage of Cortana-powered speakers, like the Harman Kadron Evoke, to access calendar info. Cortana apps on mobile platforms (both iOS and Android) now get to read Google Calendar data as well. Windows 10 users are the first ones to experience the new integration – it should be available as you read this. Those looking to test out the new features, should click the Windows 10 search bar, bring up Cortana Notebook, go to Connected Services and press Add a Service. There, you will be able to find Gmail, click it and press Connect. Once you log in, you'll be ready to go. Voice-powered digital assistants that come in the form of a stationary home speaker seem to be all the craze right now. Amazon's Echo seems to be leading the charge, with more than 15 million devices sold already. Apple has its take in HomePod, which comes powered by Siri, and Google's version is simply called Home.